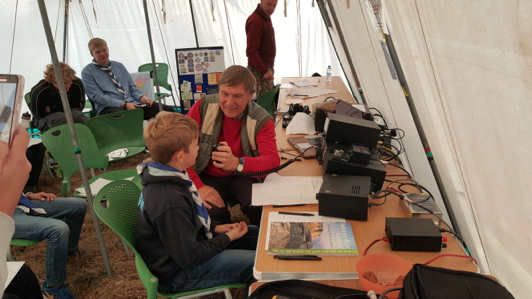 Burnham Beeches Radio Club teamed up with Datchet Sea Scouts at Ditton Park, previously home to the Radio Research Station and later Appleton Laboratories. Trevor (2EØLDZ), Charlie (GØSKA) and Paul (G6TSF) set up the station on the site of one of the old radio research huts now that the antenna field has been dismantled. 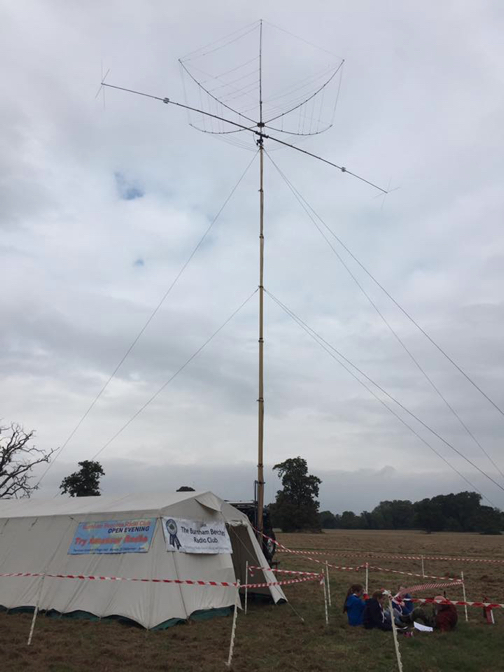 Using Trevor’s landrover / mast combination they erected the newly supplied InnovAntennas 40m rotatable dipole and the 6-20M hex beam. The combination worked a treat particularly being able to hold a frequency for the whole event on 40M is something that they were not accustomed to. They put 50 scouts and sea scouts on the K3S / Expert 1.3 combo on the Saturday with Germany and USA JOTA stations and made some good DX contacts to boot into Namibia (V55JOTA), Oman (A43JOTA), Swaziland (3DA0BP) and finished off the evening with a QSO to Sable Island (VA1AXC/CY0). All in all a very fruitful weekend for introducing youngsters to the world of radio. They will be back next year for a full weekend of fun.